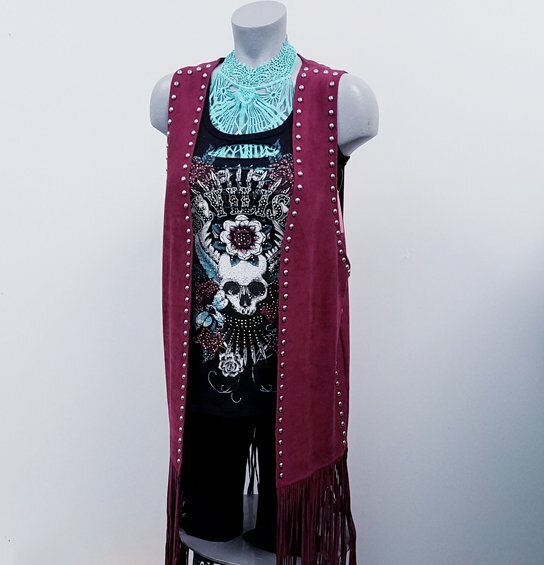 Sueded polyester vest by Crazy Train, with studded accents. 24" fringe length can easily be shortened. O/S fits most. Shown w/Devilish Tank & Turquoise bralette, both sold separately.